Keith Reinhard's creative ideas have informed popular culture for decades, and his business vision helped shape, for better or worse, the contemporary agency landscape. "His willingness to shake things up makes him a true pioneer and showcases a career we all want to emulate," said Clio president Nicole Purcell. "Keith's unwavering belief that creativity was the key to brand building—rather than financial or logistic considerations—is the hallmark of his success, along with the fact that he is himself a fine creative thinker unafraid to explore beyond the conventional," said Allen Rosenshine, chairman emeritus of BBDO and, along with Reinhard, one of the architects of Omnicom. Reinhard told Adweek that if the advertising industry didn't exist, "I'd have to invent it, because I love every aspect of it. Creating great communications has been tremendously gratifying—putting together a worldwide organization and culture to nurture creativity has been satisfying, too." After working in commercial art studios for 10 years, and being unable to secure an agency position, Reinhard joined Needham Louis & Brorby in Chicago as a junior copywriter in 1964. He created radio scripts for insurance firm State Farm. And that account would play a major role in his rise to prominence, as would McDonald's, which the agency, reshaped into Needham, Harper & Steers, won in 1970. The next year, Reinhard, by this point a creative director, led teams that created groundbreaking campaigns that became long-term fixtures in the cultural lexicon. For McDonald's, he coined "You deserve a break today." At the same time, State Farm retooled its advertising with Reinhard's slogan "Like a good neighbor, State Farm is there." While they may not seem connected, both approaches were, in fact, quite innovative and in tune with the times. Each eschewed predictable product and price pitches in favor of lifestyle and experiential plays. McDonald's wasn't just a burger joint—it was recast, Reinhard said, as a "fun, family dining experience." State Farm didn't just push policies, he said; it's agents were more like neighbors, always around and willing to lend a hand. "You deserve a break today" helped fuel the fast-food chain's expansion through the 1970s. It was revived several times through the years, ultimately morphing into "Have you had your break today?" in ads from Leo Burnett. "State Farm is there" became a staple of station breaks, helped in large part by an iconic jingle penned by Barry Manilow. A slew of great work, notably for beer brands Busch, Michelob and Bud Light, followed, and by 1984, Reinhard had become CEO of Needham Harper Worldwide. The agency was ranked among adland's top 20, but Reinhard worried that might be a perilous position. He feared being squeezed out, caught between industry giants that could serve huge clients on a global scale, and up-and-coming creative boutiques. "I began looking very carefully to put Needham together with another agency to achieve scale," he said. As it happened, he found two. In 1986, Needham, DDB and BBDO joined forces in a three-way merger that created Omnicom Group, with Reinhard installed as CEO of an entity christened DDB Needham Worldwide. That deal signaled a major upheaval in the industry, driving decades of acquisitions, mergers and consolidations. Some say the business was better before the advent of the holding companies. They blame Reinhard and his cohorts for instituting a stifling model in which creativity and helping clients are second to corporate structures and quarterly earnings. "Our vision was that three highly creative agencies would merge as equals," Rosenshine, who then ran BBDO, recalled. "It was a very difficult proposition for Keith to manage, but he did it largely through his vision of reviving the DDB brand and subsuming Needham as part of it. His commitment to creativity as the reason for any agency's existence guided him throughout." Reinhard said the changes had to come and argued that the model, as he envisioned it, at least, was intended to "bring resources, inspiration and tools to agencies, not to micromanage" operations. "I think Omnicom works [well], obviously. The other big holding companies are working well. The industry developed as we expected," he said. 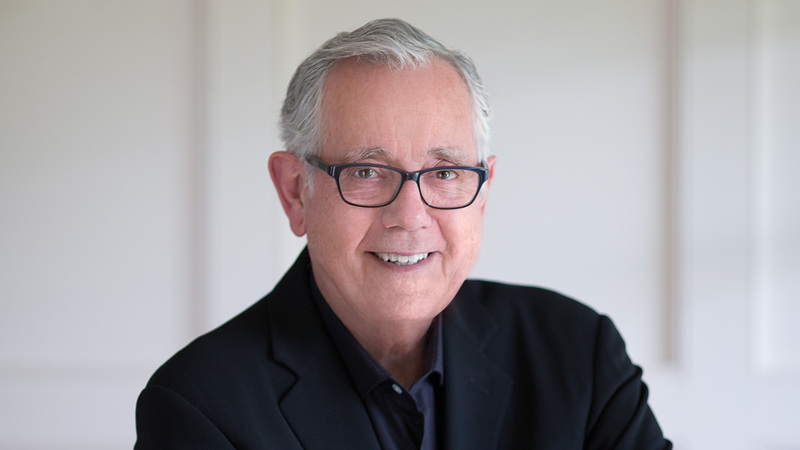 In later years, he served as chairman of DDB Worldwide and now keeps a hand in the business as the network's chairman emeritus. Advising young people just starting out, either at DDB or speaking engagements around the world, ranks high on his list of priorities. Asked what advice he'd give to a young person in the industry, Reinhard said, "First I'd ask them if they're serious about this business. This is a business filled with rejection—it's part of your daily life. Ideas wonderfully conceived get shot down in the wink of an eye," he said. "But, if you have the passion, learn everything you can about the business and about life." Strip out the complexity, he said, and advertising is, at its core, a simple pursuit: "You come up with ideas that connect brands to human drives. Understand everything you can about the brands. Understand everything you can about the drives." Reinhard joins Clio Lifetime Achievement honorees such as Lee Clow, John Hegarty, Bob Greenwood, Dan Wieden, Jeff Goodby and Rich Silverstein, among others. Matthew Weiner, creator of Mad Men, which was set during Reinhard's creative heyday, will present the award.